Malibu underscores brand’s shift to a global focus. 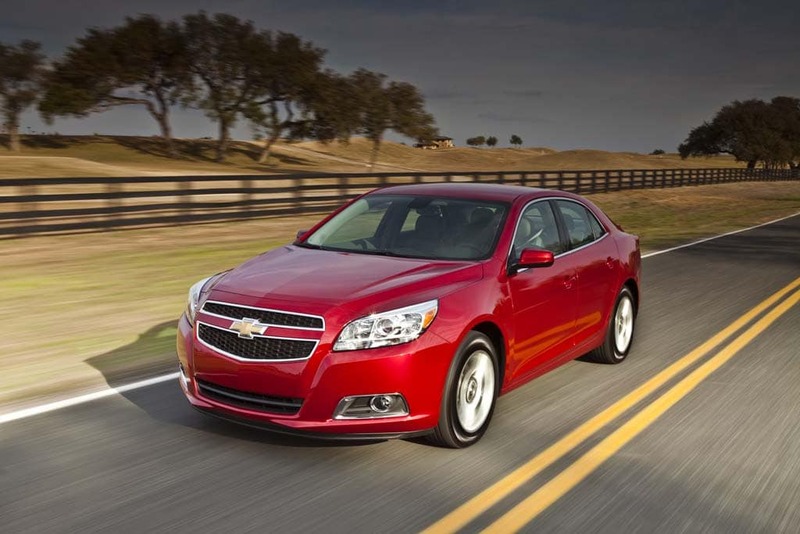 Malibu is going global and could help Chevy hit another record in 2012. With its 100th birthday barely fading in the rearview mirror, Chevrolet is on pace to set an all-time global sale record in 2011, having sold 4.8 million units through the end of November and with December off to a strong start. Meanwhile, Chevrolet’s global market share has increased by nearly one half of a point this year, Russ Clark, Chevrolet’s marketing manager for midsized and performance cars, told TheDetroitBureau.com, while suggesting General Motors’ largest marque is steadily advancing towards its goal of becoming a truly global brand. Sixty percent of all Chevrolets are now sold outside the United States, which had been the bowtie brand’s primary hunting ground for most of the past century, according to statistics cited by Clark during a conversation about Chevrolet’s business plans. 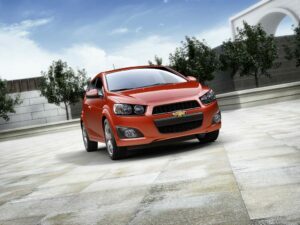 In short supply: the new Chevy Sonic. In recent years, it began expanding its reach beyond the Americas to Europe, China and, only this year, South Korea and Vietnam. Chevy has effectively taken the place of GM’s seriously troubled Opel, which had long been the company’s brand of choice for markets outside the Americas. “A Chevrolet is sold somewhere in the world every 6.6 seconds,” Clark added, noting Chevy’s top 10 markets now include China, Russia, Uzbekistan, and India. The marque’s traditional markets remain strong. One in five Chevrolets are still sold in Latin America where it is the number-one brand with a market share of 18.7%. The region’s key nation markets, Brazil, Mexico Argentina and Columbia are especially important as they provide outlets for Chevy cars, crossovers and trucks. Ironically, even as General Motors’ pushes to make Chevrolet a truly global brand with the same worldwide reach as Ford, Toyota and Volkswagen, Chevy is stuck in second place in the U.S. with 13.7% market share, placing it just behind arch-rival Ford Motor Co. But Chevy has gained one-full point of market share this past year thanks to 15 consecutive months of sales gain. And it appears to be on the verge of making that 16th monthly gain in December, Clark said. Sales of Chevrolet passenger cars have climbed 34% in recent months thanks to the overhaul of its passenger cars, which have been garnering increasingly positive reviews. The Chevrolet Cruze is now the best-selling compact car in the US, while sales of the Malibu have surpassed those of 2010 even as the current model reaches the end of its lifecycle, with an all-new Malibu set to roll out next year. Both the Corvette and Camaro – the latter haveing bested Mustang for the second year in a row — are now tops in their respective segments, Clark noted, while the all-new subcompact Chevrolet Sonic is turning so fast dealers have only a 17-day supply on their lots, less than a third of what the industry considers normal. But the real test for the coming year will be the launch of the redesigned Malibu, designated a 2013 model. The mild hybrid-powered Malibu Eco will reach showrooms early in the new year, followed months later by the conventional version – which will offer buyers a choice of two new powertrains, including a high-performance 2.0-liter turbo shared with Cadillac’s new ATS luxury sedan. Malibu is now the longest-running sedan nameplate in the Chevrolet line –behind only the Suburban and Corvette nameplates for overall longevity. The 2013 model is expected to challenge such midsize stalwarts as the Toyota Camry and Honda Accord as well as the new Volkswagen Passat. The old car wasn’t exactly a slouch, having won a variety of kudos, including being named North American Car of the Year, in 2008. But Clark and other Chevrolet executives said the 2012 Malibu is a step up in every way from the old model it is replacing. Plans for the new model reflect the broader global goals of Chevrolet. The 2013 Malibu won’t be limited to cruising Main Street America, but will be offered in 100 different countries on six continents, Clark said. This entry was posted on Tuesday, December 20th, 2011 at and is filed under Automobiles. You can follow any responses to this entry through the RSS 2.0 feed. Both comments and pings are currently closed.